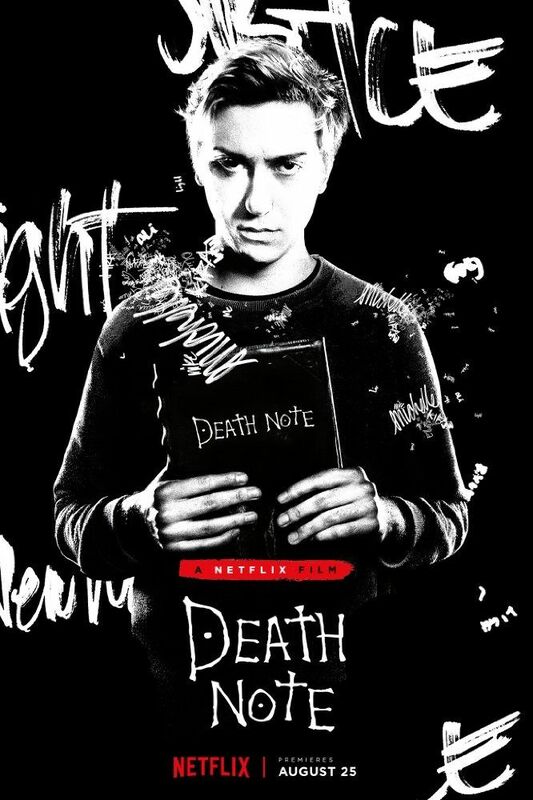 In Seattle, Washington, high school student Light Turner encounters a notebook marked "Death Note". He is visited by the death god Ryuk, who tells him that he can cause the death of anyone he wishes by writing their name in the book, as long as he knows their real name and face. Ryuk coaxes Light into testing it out on a bully. The bully is decapitated in a freak accident shortly afterwards. That evening, Light is compelled to write down the name of Antony Skomal, the man who killed his mother in a hit and run. Skomal dies in a similar freak accident at a restaurant. Ryuk explains other rules of the Death Note, including the ability to control the actions of the victim for up to 48 hours after their name is written before they die. Classmate Mia Sutton asks Light about the Death Note, and he demonstrates how it works. She encourages Light to use the Death Note with her to rid the world of criminals, improving the world. They decide to work together under the guise of a god they call "Kira", using the book's coercion powers to have their victims reveal this name to the world. Read more on Wikipedia.